St Symphorian’s is an Anglican (Church of England) church in the Diocese of Chichester covering the north-west outskirts of Worthing, West Sussex. The parish serves the areas of Durrington, West Durrington, and parts of Salvington. Our principal act of worship is the Sung Mass every Sunday at 10.00am. There are also weekday Masses and occasional other services details of which can be found here. 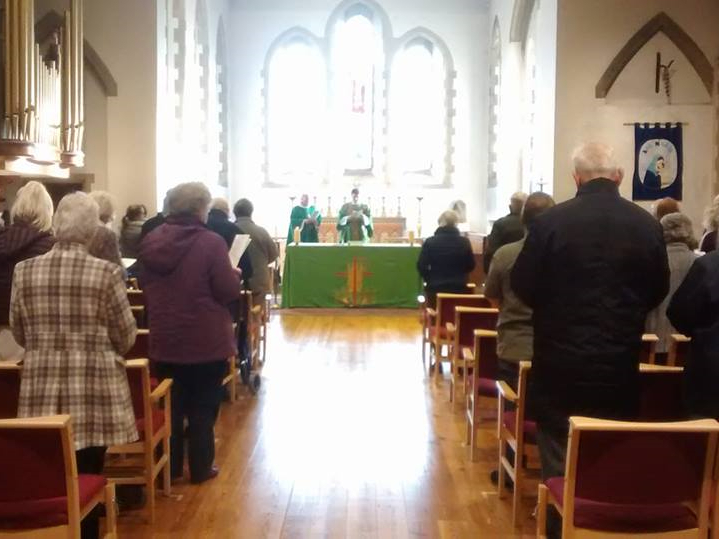 In addition to worship, there are many other activities which the church runs, and various community groups who meet in the church and the church hall. For more information about them, please go to the What's on page or for upcoming events click here. Please feel free to get involved with any aspect of life at St Symphorian’s, and be assured of a warm welcome. If you would like to find out more about anything you find on this website, please contact the Parish Office. If you would like to be kept up-to-date about events and activities at St Symphorian's then please sign up to our mailing list using the form here. For information about Safeguarding at St Symphorian's, please click here.